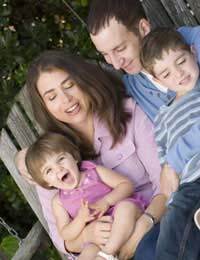 In many ways, a family is very similar to an organisation or community organisation – whether this family is a traditional unit of biological parents and children, an old-fashioned extended family, a childless couple, a single parent and child - or one of the other variations now commonly seen in modern society. Therefore by applying the same principles of leadership to the family unit, you can ensure greater success and happiness for the whole family, as well as individual members within the family. Why Is Leadership In Families Important? There are many ways in which leadership can help to maintain the well-being and success of a family. For example, a family should support the development and growth of its members and good leadership within the family ensures that not only the material needs but also the personal and emotional needs of all family members are met. Leadership is also essential for balancing the different needs of all the family members at the same time. Obviously, one family member’s needs may dominate at particular times, for example, due to an illness or injury, but over time, it is important that all the needs of the different members are balanced in order for the family to remain a healthy, functioning unit. Very often, the needs of children are prioritised over those of the adults, especially the parents, but if this is carried out to the extreme, this can lead to a break-down of the core relationship between the parents which forms the foundation of the family and ultimately, the children will suffer from the loss of a stable family environment. Another common occurrence is when the needs of one adult dominates the entire family – for example, when a father’s idealism forces his family to live an eccentric lifestyle in isolation, denying his children and spouse the chance to interact with normal society (this was the theme of the film “Mosquito Coast” starring Harrison Ford). Finally, imbalance can also occur when the needs of one child dominate over his or her siblings, either because of a genuine greater need due to disability or because of favouritism on the part of the adults. Leadership in families also helps to provide a common goal and this often leads to a happier, healthier family life. Just like organisations where leaders need to have a vision for the future or a goal for the business – a family needs to have a wider purpose or mission which all its members subscribe to. Usually, this “mission” is considered to be the successful raising of the children into independent adults – but in fact, it can be beneficial to have a mission beyond this basic goal, so that the adults have a role beyond being mere “parents” all the time and the children are raised with a set of values beyond self-interest. For some families, religion can provide this wider purpose but for other families, it can come from creative or altruistic endeavours. For most normal families, leadership will come from the parents – either jointly together or primarily from one parent. Thus, how the parent approaches his or her leadership responsibilities can have a great impact on the success and well-being of the family. It is important to remember that families function just like work organisations and a family leader will achieve greater success, respect and authority if he/she follows the same rules for leadership and develops the same leadership skills as is necessary in organisations. These include things like good communication skills, open-mindedness, fairness, commitment, integrity and generosity of spirit.